External doors today require strength as well as style. Here are some of the best options when choosing the material for your door. Gone are the days when external doors were limited to timber and could be broken with the aid of a few hefty tools. Oak doors remain popular for their aesthetic appeal and traditional character, but for a contemporary home, you may wish to think about alternatives. The industry has responded to security concerns and now offers durable materials which require less maintenance and can therefore work out more cost-effective in the long run. Steel may not be your first thought for a front door; the material might seem an extreme option more suited to fire doors and industrial environments. However, steel doors are very difficult to breach and are fire-resistant, as well as easily withstanding the wear and tear which may damage other doors over the years. Costing less than other varieties, steel has also come a long way from the utilitarian designs of the 20th century and can now benefit from a surface coating of vinyl, giving the appearance of a more natural finish. Another material option is fibreglass. These doors protect against water damage and they have the additional advantage of extra insulation. Fibreglass external doors come with a foam core and they cannot be dented in the way that steel may be. 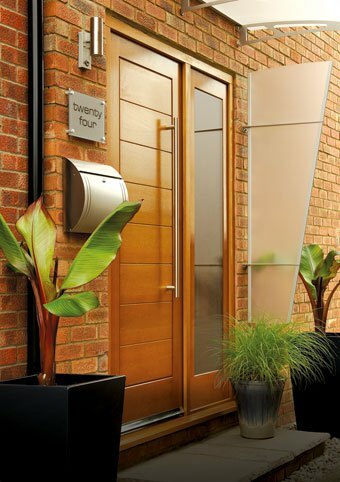 Like steel, fibreglass technology in exterior doors has moved forward in recent years and a wooden look can be reproduced with great attention to detail. They do come with a higher price tag, but spending the money up front may reduce the overall costs when you consider the longevity of fibreglass doors. 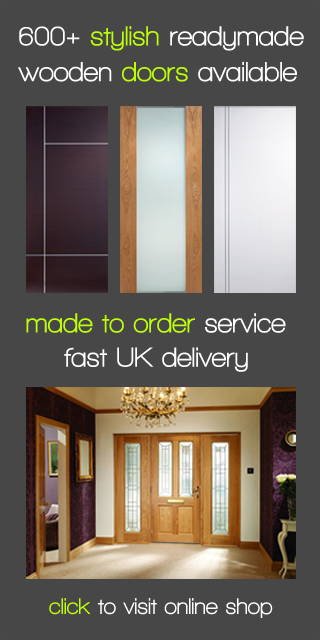 Whilst functionality is all-important to the door-buyer, it is worth thinking about design. Nothing beats solid wood for an authentic look and if you own a building with period features, it may be that this will be the most suitable material, whether it be ranch-style or Victorian window panels. Oak doors still have considerable strength and contemporary finishes are highly attractive; if you’re thinking of selling your home, this may be a good option. Whatever you decide, getting the balance between security and design is all-important when buying external doors. Other considerations such as letter-boxes, numbers and decoration merit careful thought but when it comes down to basics, a door’s job is to protect and to insulate. For more help and advice before you start, take a look round our oak exterior door pages here on the site.